As you know, I was in Goa last weekend having a ball driving the Renault Lodgy and interacting with wonderful bloggers. Because when Harish from Blogadda calls and invites you to Goa, you don’t say no! I attended an event with them last year in Goa and had such a great time that I obviously jumped onto the bandwagon this time too. Monsoon, driving, great food, incredible location and wonderful people. What’s not to love? Bring together people who are zealous about blogging and life, and you get a diverse pool of potential consumers to try out your new product. Bombay bid us a tearful (read rainy) farewell and delayed our flight by an hour or so but we managed to land in Goa in one piece. A warm welcome by Harish, Ankita, Sushma and gang at The Leela and we were off to our warm, beautiful rooms. We were introduced to the pretty remarkable Renault Lodgy by the able and very talented Renault team in an interactive session hosted by the gorgeous Archana. By now, we were dying to get our hands on the steering wheel and the next morning, we did. 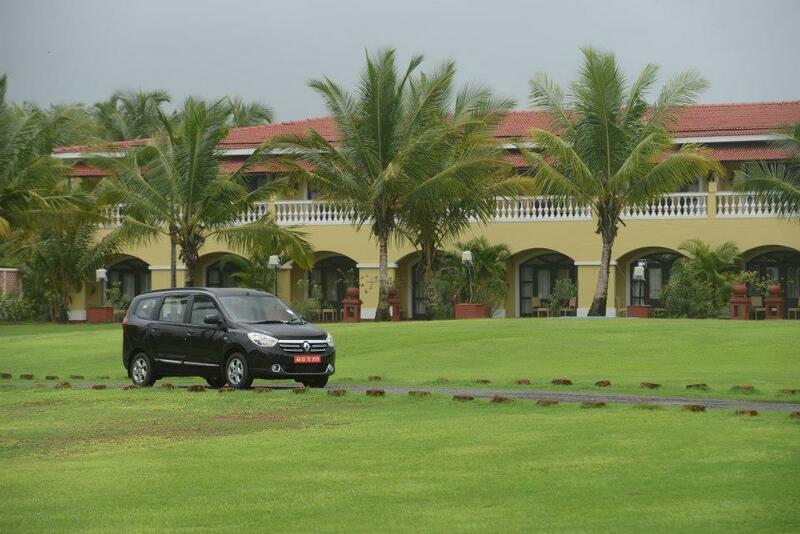 We drove through the stunning roads of South Goa, to The Lalit. Interspersed with good conversation, great music and lots of photo clicking, our drive was one hell of an experience, with my awesome team Deepak ji, Ashwini and Bhumika. The car is spacious, with ample head and leg space. 7 full-size seats over three rows. The interiors are plush, classy and sporty; has a decent music/entertainment system; has charging points on all seats (yay! ); a rear view camera for easy navigation. In all, I felt the car is perfect for drives outside the city with your family. I would love to take my dog for a drive in the Lodgy. She would love the ample space! However, I am not sure if it is the perfect car to drive around the city traffic. I see it more as a second car for long distance travel. A sturdy drive, an adrenaline-charged experience, a smooth pick up and gorgeous interiors. That’s all I really need in my kind of car. And as a lifestyle blogger and lover of all things stylish, my eyes first look for style in any product and I think Lodgy has got it. They have managed a balance between sportiness and beauty. Tired and supremely happy, we partied through the night post the drive. I got an opportunity to sing for my fellow bloggers and I have to say, they were the most amazing audience. A beautiful weekend was spent in beautiful Goa and I got to meet so many new wonderful people. A huge thank you to the Renault and Blogadda teams and the blogging community. It was an honour being amongst the top 40 bloggers of the country.